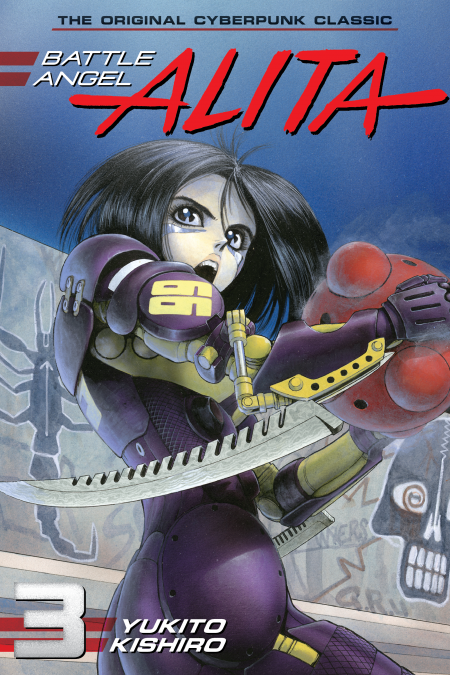 Stunned by the way her relationship with Yugo ended, Alita hurtles into the sport of motorball in search of a fresh start and new possibilities. She turns herself into a honed, unthinking blade and launches herself up the ranks. Little does she know that her ultimate foes will be Jasugun, the supreme champion of motorball, and Dr. Ido, her own father figure!! The “Motorball” arc begins, famed for its riveting and kinetic battle scenes, and vast and varied cast of athletes!